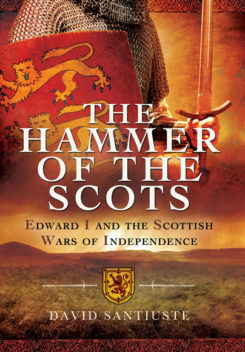 Known to posterity as Scottorum Malleus – the Hammer of the Scots – Edward I was one of medieval England’s most formidable kings. This book offers a fresh interpretation of Edward’s military career, with a particular focus on his Scottish wars. In part this is a study of personality: Edward was a remarkable man. His struggles with tenacious opponents – including Robert the Bruce and William Wallace – have become the stuff of legend. But David Santiuste also explores the wider context of Edward’s Scottish campaigns. He describes the effects on people at all levels of society, providing a richly detailed portrait of the British Isles at war.